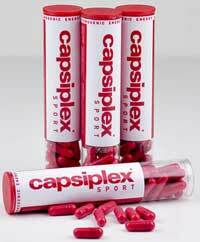 Capsiplex Sport is a new dietary supplement produced by Advanced Health. The company has been trading since 2006 and have gone from strength to strength thanks to the success of their flagship product Capsiplex, which quickly became a big gun in the dieting world after many celebrities (including former page 3 beauty Nicola McClean) lost 7lbs in a week and signed up as the first Capsiplex Ambassador. 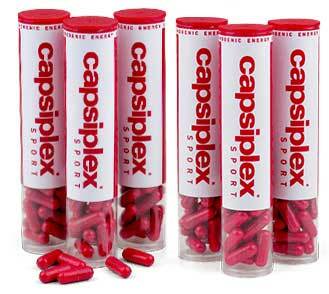 Although the original product was produced as a weight loss aid, Capsiplex Sport is designed to he used as pre-workout supplement. The original product is still in existence and is arguably the best selling fat burner on a worldwide basis. Claims: To help you burn body fat and the most out your exercise regime. 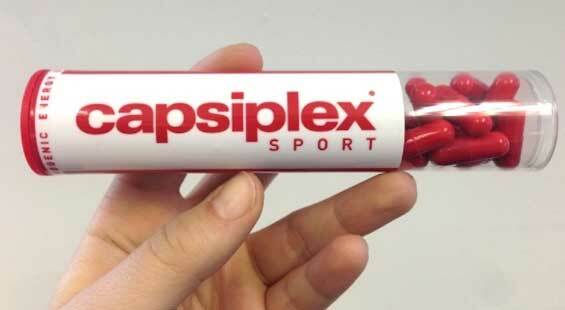 What is Capsiplex Sport and what does it Do? Capsiplex Sport has been designed to speed up the metabolism and provide extra energy during exercise periods. Much of the promised energy will come courtesy of formulation’s thermogenic fat burning abilities. Thermogenic compounds like capsaicin (the active ingredient in chili peppers) produce a slight rise in internal body temperature. This typically produces an environment that is more conducive to the fat burning process and can even increase calorie expenditure during rest periods. The calories that are released by the fat burning process are then available to use, and become an extra source of energy that can be utilised to fuel increased intensity workout sessions and sporting pursuits. The above is true of thermogens in general, but capaiscin is known to exceed the powers of many other fat burning compounds, and Capsiplex Sport contains a few extra ingredients intended to support its abilities; so the blend shows a lot of promise and may even have the potential to overshadow the reputation of the original Capsiplex capsules. Chili peppers can be hard on the stomach, so Advanced Health have adopted a unique beadlet design that does not allow the active ingredients to be released until the capsules have passed through the stomach and is further down the gastric tract, where irritation is not likely. Capsicum Extract: An ingredient that is usually sourced from red chili peppers. As well as boosting the metabolism and kick-starting the fat burning process, capsicum extract can also provide appetite suppression and assist fat oxidation. After one study, conducted at Maastricht University in the Netherlands, the researchers concluded “Capsaicin treatment caused sustained fat oxidation during weight maintenance compared with placebo”. L-Arginine: An amino acid that can speed recovery times and provide extra energy. L-Arginine is often included in bodybuilding formulations because its presence can boost nitric oxide levels and provide vasodilation benefits that enable harder, more productive, training sessions. L-Arginine can also reduce the likelihood of post-exercise muscular pains becoming an issue. Caffeine: A powerful stimulant that can boost energy levels and provide improved focus. Experts at the Mayo clinic confirm caffeine may also have value as an appetite suppressant and a thermogenic fat burner. Vitamin B3: Like all B vitamins, B3 can aid the metabolic process and help deliver an increased amount of energy. It can also assist recovery and be useful for combating the symptoms of fatigue. Piperine: A black pepper extract that is fast becoming a hot property in the supplement industry. Piperine boosts the metabolism, while also aiding the smooth absorption of other ingredients. Capsiplex Sport is a one-capsule-per-day formulation, and the capsule should be taken half-an-hour before the chosen exercise or sporting activity is commenced. Capsiplex as a brand has had lost of positive customer feedback. One customer claims to have noticed a big difference after just three days of use, and says the formulation had given her “energy back” when she works out. Another Capsiplex Sport user states the formulation has assisted his long distance running endeavours by providing him with the energy boost and mental power he needs to achieve his goals. No side effects have been reported and, bearing in mind the ingredients used, Capsiplex Sport is unlikely to be present negative issues, but a minority of users may experience hot flushes similar those occasionally experienced after eating a spicy curry. However, pregnant or nursing mothers should always err on the side of safety and never take any brand of supplement unless its use has been sanctioned by their doctor. Individuals who have existing health problems should be equally cautious. 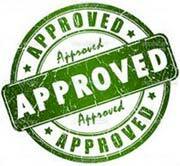 Capsiplex Sport is sold with a lengthy 60 money back guarantee. Capsicum extract is well known for its metabolism-boosting and weight loss enhancing abilities and the success of Advanced Health’s flagship product proves the company knows how to fully harness the ingredient’s powers. So right from the start Capsiplex Sport was ticking the right boxes. It never pays to take things for granted though. There was still a possibility the company may have fumbled the ball, but customer feedback indicates this is not the case, and the fact that Advanced Health are willing to back Capsiplex Sport with a two-month guarantee shows their confidence in the product. We share that confidence and are happy to add Capsiplex Sport to our list of recommended supplements. 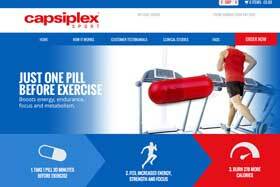 Capsiplex Sport can be purchased from the official product website. The original price per bottle was £39.99, but at the time of this review Advanced health had slashed the price to £29.99. Customers are also offered bulk-buy incentives, with the best deal going to customers who purchase three bottle of Capsiplex Sport for £119.85 and receive a further 3 bottles free of charge.